Tesla Model X versus 2017 Jaguar F-Pace - Should Tesla be Afraid of Jaguar's Sporty SUV? Tesla Model X versus 2017 Jaguar F-Pace – Should Tesla be Afraid of Jaguar’s Sporty SUV? The SUV segment is something new both for Tesla and Jaguar. But Tesla has been working on the Model X for quite some time and judging by early reports, it might be the best all-electric sporty SUV on the market for the foreseeable future. Enter the 2017 Jaguar F-Pace. 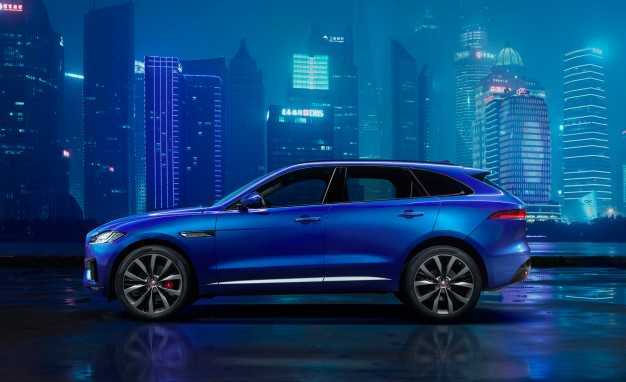 It will be the first ever SUV built by Jaguar, something that was a job for the sister company, Land Rover. And unlike the Tesla Model X, the 2017 F-Pace is a gasoline and diesel operated vehicle. So are there any reasons for concern in Tesla? Let’s start with the design, which is often a deciding factor. Buyers that can spare more than $100,000 on a SUV want extraordinary and signature design, something that will single them out in the crowded road. Both the Tesla Model X and the 2017 Jaguar F-Pace offer signature design lines in their own way. 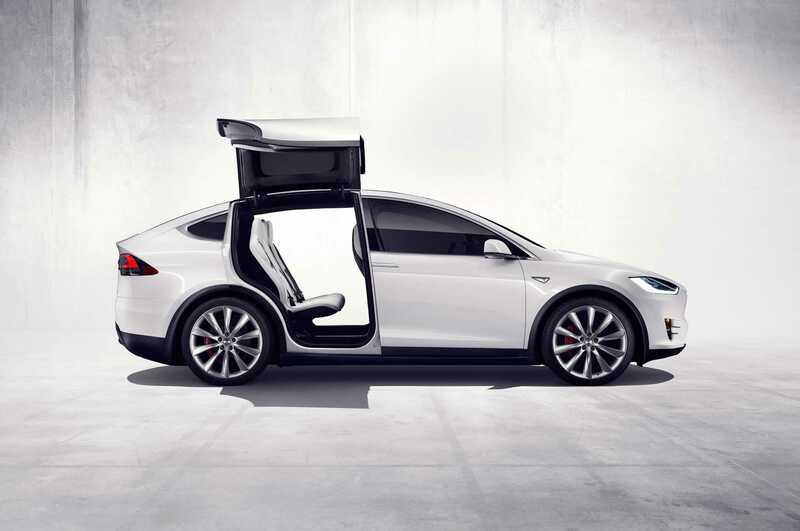 The Model X has the signature Falcon Wing rear doors, while the Jag has the overall design of a sports coupe car, trapped in a body of an SUV. The front fascia looks scary, aggressive and dynamic. Going under the hood, you’ll find the main difference between the two vehicles. The Tesla Model X is a fully electric vehicle, able to deliver 250 miles on a single charge. The standard Model X packs 259hp electric motor on the front axle and 259 on the rear. Combined, they produce acceleration of 4.8 seconds to 60mph with a top speed of 155mph. The performance model packs the same engine on the front axle, but a 503hp motor on the rear axle, boosting sprint time to 3.8 seconds or 3.2 with the ludicrous package. Speed has always been the strength for Jaguar, but the 2017 F-Pace simply cannot compete with the Model X. The basic model runs on a 2.0-liter engine with 180hp, which is an environment-friendly engine able to reach 60mph in 8.2 seconds. The 3.0-liter V6 engine, on the other hand, packs 340 ponies under the hood and sprints to 60mph in 5.1 seconds. Inside the vehicle, the Model X is more functional, practical and flexible. Tesla’s SUV can have either seven or six seats. When the model is organized with seven seats, the SUV offers comfortable seating for more people. If you want to transfer more cargo, you can switch the seating to six seats and get more room. The 2017 Jaguar F-Pace doesn’t offer such flexibility. And when it comes to technology features, both SUVs have their own strengths. The Tesla Model X offers more autonomous driving features, but the Jag finally produces a navigation and infotainment system that is worthy of the name Jaguar. The 10.2 inches display screen offers lots of commands and options, including gesture control. The price of the 2017 F-Pace is what will get more people to buy the SUV, as the base model with 2.0-liter engine costing somewhere around $40,000. The 3.0-liter V6 engine has a price in the range of $50,000, which is two times lower than the rumored price of $132,000 for the Tesla Model X.